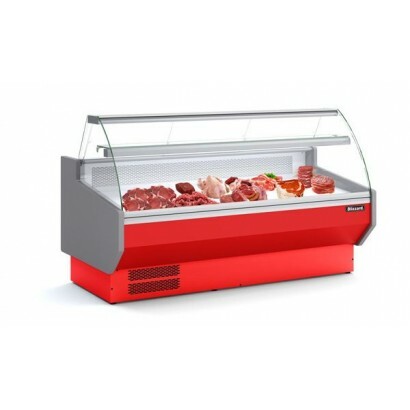 Meat temperature serve over counters are purpose built for the effective storage and display of fresh meat, ideal for use in butchers and delis. 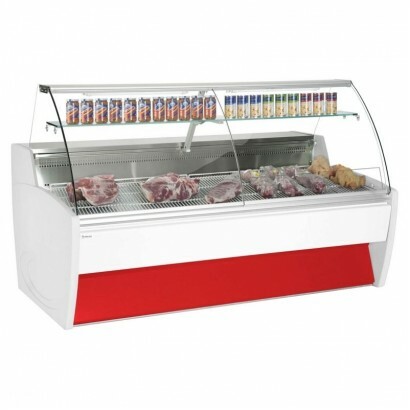 The meat counter display is an essential part of any butchers shop allowing the fresh produce to be shown to its maximum to increase sales. Corr Chilled offer a range of cabinets to suit any colour scheme or size of premises. 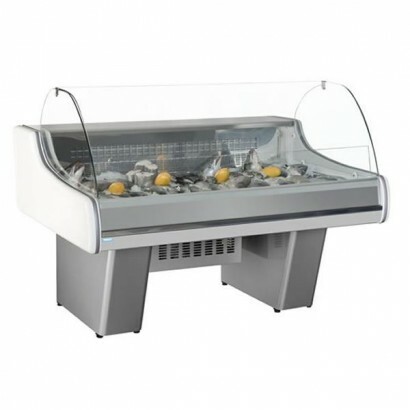 The Frilixa Celebrity mobile display counter is designed for the display of fresh meat or fish in a ..
A deep decked display with a temperature range ideal for fresh meat. 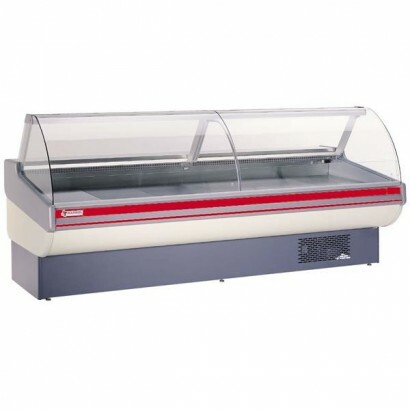 The Tobi meat serve over counte..
A great value 1.7m slim display for the retail of fresh meat. 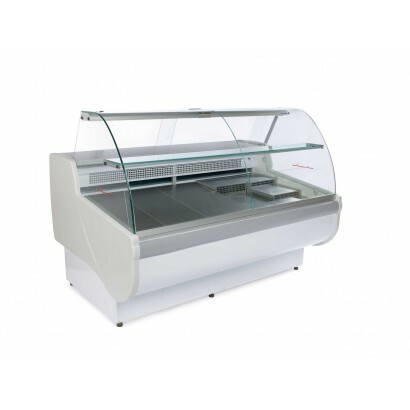 Ideal for butchers, the unit boasts a ..
A 1.7m curved glass serve over counter designed for the retail of fresh meat. The cabinet has a stai.. The Blizzard Sigma meat temperature serve over is large deep deck serve over counter with an eye cat..
A slimline serve over cabinet designed for the display of fresh meat. With a temperature range of -2.. 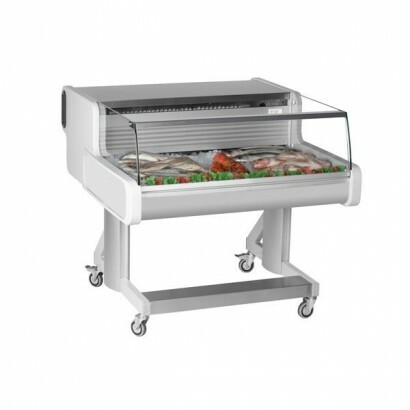 The Frilixa Maxime Fresh Meat Serve Over Counter has a flat glass front and stainless steel rear she..
A top quality deep deck serve over counter for the display of fresh meat. With fully automatic opera.. 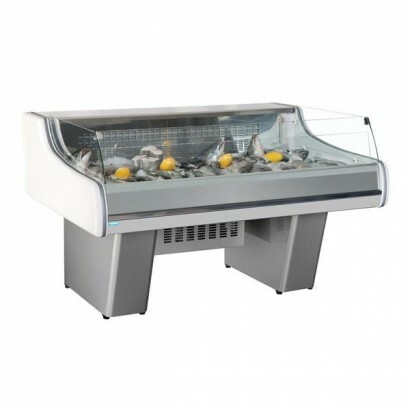 The Frilixa fresh meat serve over with curved glass has four cabinet sizes available with stainless ..
Trimco Provence low glass serve over. 4 sizes available, ideal for fresh meat or fish. 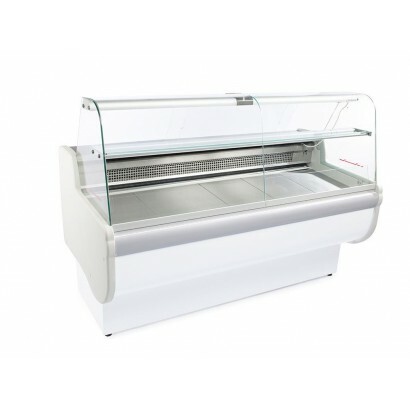 Fully automat..
Mafirol Eros high quality fresh meat serve over counter available in 6 sizes from 1m to 3m. With hyd..